Whether you are organising a large office Christmas party or an intimate party at home for family and friends – Complete Function Hire can help make your life easier! There is so much planning involved to organise the perfect end of year event. 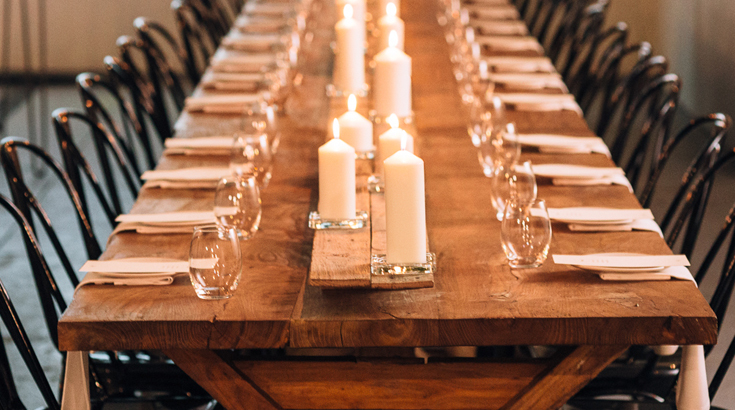 Here are some of our team’s top tips on what you need for an awesome Christmas party that your guests will remember. Add a festive touch to your end of year event with décor items to suit your style. Complete Function Hire source unique décor pieces from all over the world and hire gorgeous items from lighting to pedestals and mirrors (and so much more!). We have pieces to complement any venue and any theme. Give your Christmas Party a festive touch with décor that complements your venue and theme. 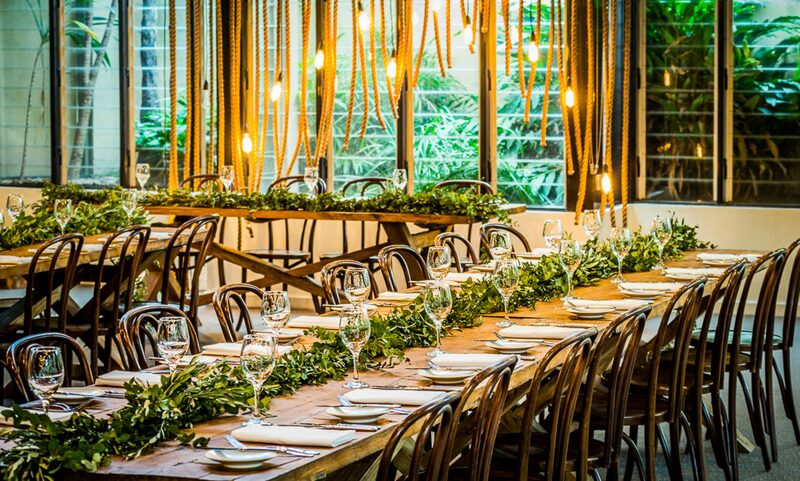 If you are having Christmas at home, your office or in a marquee at one of Melbourne’s amazing locations, there are a few things to consider. Where there is no commercial kitchen available to service your delicious menu, our team can create a temporary kitchen complete with commercial catering equipment. 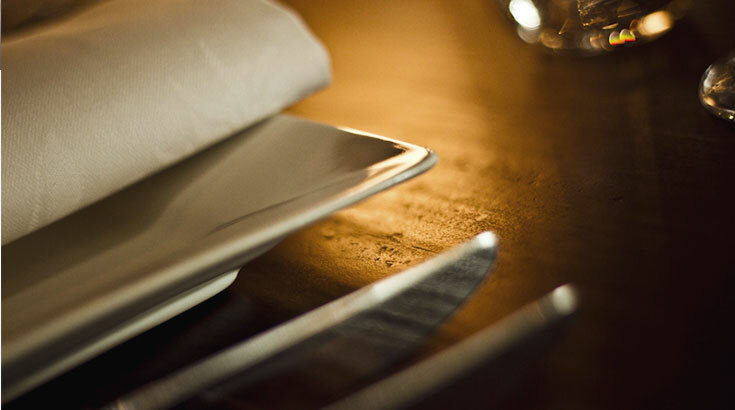 Depending on your numbers and menu, you may need to consider catering equipment such as warming ovens and trestle tables – our friendly team can help guide you on what you need to cater to your hungry guests. Having ample furniture will create a comfortable environment for your guests. Our team always recommend furniture options such as bar tables, stools and lounges for cocktail parties to ensure there is adequate seating. Depending on your style, your theme or your venue, we have a range of different furniture styles including tables and chairs to complement your look. Our team’s favourite ranges for the festive season include our hair pin range which complements an industrial look (and comes in a range of cool colours) and our rustic paddle range – both ranges have been hand built with love by our team. For a classic furniture look that suits all venues and styles, you can’t go past our Bentwood range which comes in 3 beautiful finishes. If you are hosting your event at home or an off-site location, a central bar is the perfect meeting place for your guests to mingle. Our huge range of bars come in different colours, shapes and styles to suit very large or more intimate gatherings. Your well stocked bar will need ample glassware to serve your thirsty guests – ask our team about which types of glasses you will need to suit your beverage package. Complete Function Hire have a huge range of cutlery, crockery and serving platters for your Christmas event. Make a statement on your tables with beautiful cutlery and crockery to tie your look together. Function cutlery doesn’t have to be boring! Our huge cutlery range features many styles and colours – our team favourites for Christmas include our festive bronze and gold ranges. Our range of crockery includes on trend gold charger plates and many other styles to make your menu look even more delicious. If you are in charge of organising the office Christmas Party or if you are entertaining family and friends at home, our experienced team can help make things easy for you. 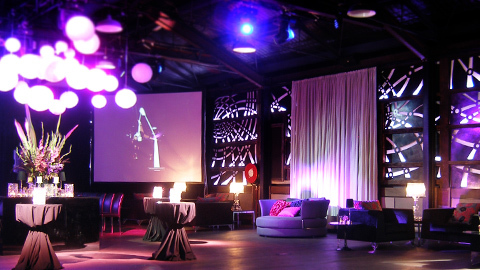 Click here to contact Complete Function Hire.